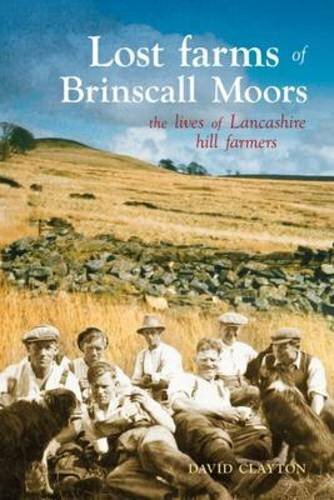 A unique and engaging book about the farms and farming communities of Brinscall near Chorley, Lancashire, that were broken apart in the name of progress. It takes the reader back in time, on a journey into the forgotten lives of Lancashire's lost hill-farming communities. ...scattered heaps of stone, so thoroughly collapsed but still so numerous, mysterious & challenging ...This unique and engaging book takes the reader back in time, on a journey into the forgotten lives of Lancashire's lost hill-farming communities. In the space of little more than five square miles, there used to be nearly fifty farms, upon which hundreds of men, women and children depended. Then, almost overnight, the march of 'progress' robbed them of their homes and livelihoods, leaving behind a landscape frozen in time, with crumbling buildings and lonely vestiges of human habitation. Local author David Clayton has located all the remains of the old farmsteads that were the beating heart of life and work for generations of farming folk, and he reveals why it all ended so suddenly. Skilfully combining his intimate knowledge of all of the farms and most of the families with testimony from surviving diaries and other documents, he paints an intriguing, often poignant, picture of a way of life that now exists only as a memory. Presented in the form of a gentle tour that can be undertaken either from the comfort of an armchair or by wandering around the ruins, Lost farms of Brinscall Moors is a journey of exploration and discovery that will appeal to anyone interested in the history of both the local area and the county of Lancashire.